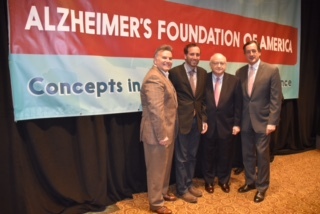 The key is to give medicines much earlier–before the brain material has been destroyed by Alzheimer’s disease, Dr. Shahar Arzy, head of the Hadassah Medical Organization’s Computational Neuropsychiatry Laboratory, told his audience at the Alzheimer’s Foundation of America (AFA)’s New York Educational Conference on May 5, 2017. 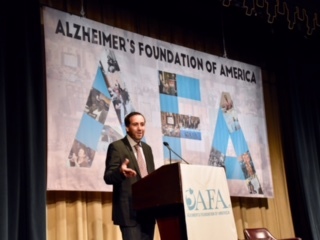 Neuropsychiatrist Dr. Arzy, a world-renowned, cutting-edge diagnostician, gave the keynote presentation, Unraveling Alzheimer’s Disease, at the AFA conference. The Conference is part of the organization’s National Educating America Tour, in celebration of its 15th anniversary. Entitled Concepts in Care Educational Conference, its goal is to provide individuals throughout the nation with the opportunity to hear from experts about the latest research into Alzheimer’s, as well as such Alzheimer-related topics as access to health care, transitioning from home to a residential care setting, long-term care, and communicating with an Alzheimer’s patient. Thanks to sophisticated new diagnostic tools, developed at Hadassah’s Computational Neuropsychiatry Laboratory, doctors will be able to diagnose Alzheimer’s disease much earlier and, consequently, improve the prognosis for millions of people. In his diagnostic design, Dr. Arzy begins by exploring what is going on in the patient’s brain using data regarding the patient’s own world taken from digital media, such as Facebook. Then, computational algorithms analyze the data and reveal in real time what is going on in the brain. Dr. Arzy’s work zeroes in on a dedicated brain system that he calls the orientation system. It enables us to see ourselves in relation to the external world–specifically in three external realities: space, time, and person. 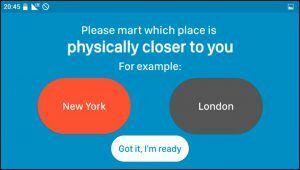 Space involves, for example, where we live and where we work; time pertains to events in our life; and person refers to our relationships with the people around us. It is this system, he hypothesizes, that is compromised in Alzheimer’s disease. At Hadassah’s Neuropsychiatry Lab, Dr. Arzy and his team use high-resolution functional Magnetic Resonance Imaging (MRI), Positron Emission Tomography (PET), and high-definition electroencephalogram (EEG) to explore the orientation system in the brain of patients along the Alzheimer’s disease spectrum. The aspect of brain functioning that allows us to assess where we are in space, time, and relationship to others is called orientation. Dr. Arzy explains that orientation is a core disorder of Alzheimer’s disease. His work builds on the discoveries of Nobel Prize Winners John O’Keefe, May-Britt Moser, and Edvard I. Moser, who identified the cells that constitute this system in the brain. The dedicated brain system that manages orientation also has specialized sub-parts that target time, place, and personal relationships. Further, it overlaps with another system called the Default Mode Network (DMN). 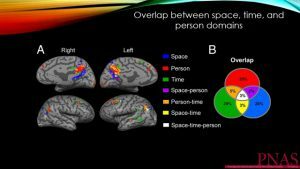 The DMN is a network of brain regions that is active when we are not doing a specific task–when, for example, our mind wanders and we think about memories, people, or places. It, Arzy determined, is most affected by Alzheimer’s disease. As a result, those with Alzheimer’s experience functional loss in the cognitive areas of memory, people recognition, and place orientation. Along with his team of computer scientists, physicists, psychologists, and doctors, Dr. Arzy designed the cutting-edge computational and neuroimaging tests, as well as a diagnostic App that make early diagnosis possible. Armed with this information, doctors can protect healthy brain tissue from the disease by administering medication sooner. In this way, loss of brain function can be slowed. 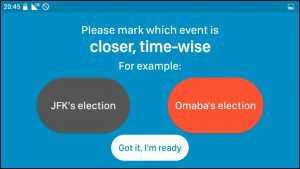 The team’s efforts are finally translated into the Clara App. It reveals the extent of the patient’s loss of brain function through a series of questions relating to the external realities of time, space, and person. 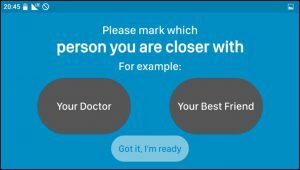 The initial question, aimed at establishing the patient’s own world, would derive the patient’s own data out of digital media like Facebook, Google, or the smartphone. Next, patients are faced with a set of computerized questions exploring orientation functioning: the patient’s ability to determine where he or she is in relation to another place—closer to New York or London, for example; the person’s orientation regarding time–for example, whether President John Kennedy was assassinated before President Barack Obama was elected; and the person’s ability to assess the closeness of a personal relationship–whether, for example, the person is closer to a spouse or a doctor. 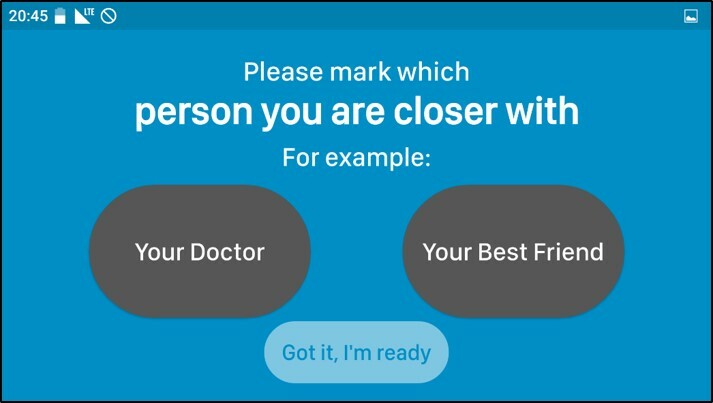 Already available for use on Android cellphones around the world, the App can simply be downloaded through the Google Play Store, with a special code provided by the patients physician. 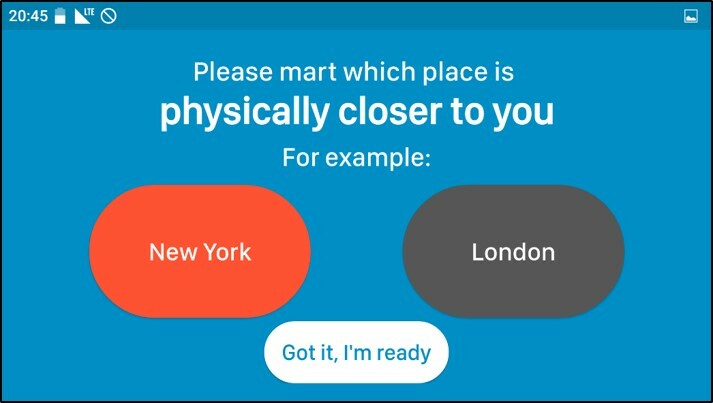 Having determined that mental orientation is a core disorder in Alzheimer’s disease, Dr. Arzy aims to promote the use of the Clara App orientation test in the United States and its translation and validation around the world.